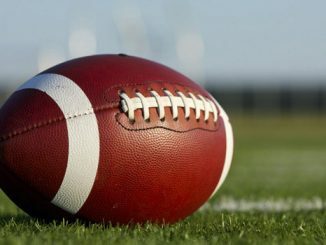 For football fans, September means the end of the offseason void of games of your favorite sport, but the excitement of a new season has likely worn off by now. For Baseball fans, the winter and the offseason are quickly approaching with only the World Series left to play. For basketball fans though, their season has just started, and they have so much time to sit back and enjoy watching games almost every night. It’s like these fans just took their last test of the year and basically have over three months of summer to not worry about school; but instead of nice weather and cannon balls into pools, they’re looking forward to slam dunks and buzzer-beaters. Last season, we all saw the Golden State Warriors dominate the league. They cruised through the regular season, gaining the number one seed in the Western Conference, and then went on to win their second championship in three years, defeating the Cleveland Cavaliers in five games. The Warriors return this season with basically the same team. They still have two former MVP’s in Kevin Durant and Steph Curry, they still have All-Stars Klay Thompson and Draymond Green, and they still have their key bench players like Andre Iguodala, JaVale McGee, and Shaun Livingston. The Warriors are set up for another title run, and everyone expects nothing less than a championship from them this year. While the Warriors basically have the same team as they did a year ago, the same can’t be said about a lot of other teams. This season is going to be all about how the new and seasoned players can gel with one another on a team. During the offseason, we saw a lot of big moves that are going to shake things up in the NBA. Perhaps the move that will prove to be the biggest is the trade between the Boston Celtics and Cleveland Cavaliers. This blockbuster involved the team’s point guards Isaiah Thomas and Kyrie Irving. Irving was sick of playing second fiddle to LeBron James and wanted out of Cleveland, so the Cavs sent Irving to Boston in exchange for Thomas, Jae Crowder, Ante Zizic, and a pair of draft picks. These two teams are thought to be the only legitimate threats in the Eastern Conference, but now that the Celtics’ Gordon Hayward is out for the rest of the year after breaking his leg on opening night, the Cavs are once again the team to beat in the East. All the other big changes we will see this year come out the West. The Oklahoma City Thunder added Paul George and Carmelo Anthony to draw some attention away from last season’s MVP Russell Westbrook. This “big three” in OKC is dangerous, and if they can gel and play well together at the right times this season, there’s no reason why they can’t challenge Golden State like they did a few years ago. Another team that should be highly competitive again in the West is the Houston Rockets. The Rockets are a good team, and they got better this offseason by adding point guard Chris Paul. Paul has had success in this league for a long time, and he will bring his solid fundamentals and veteran leadership to Houston this year. It should be noted that Paul has already been sidelined this season with an injury, but the key is that it is still early, and there is a lot of time for him and his team to come together. 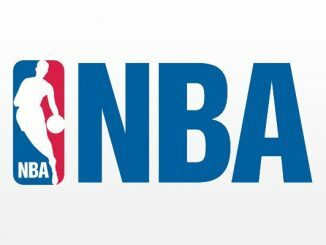 This will be an exciting year for the NBA. We have no idea if these moves will change the outcome of the season or not, but it could make things a little more interesting. Nobody wants to watch one team dominate all the others year after year (unless you’re a fan of that one team). There are plenty of Warriors fans out there who want to see things stay the way they are, but the rest of us are hoping for a little mix of something else. Whether it happens or not, you can celebrate, basketball fans, because your season is finally here. Football Is Over, Now What? 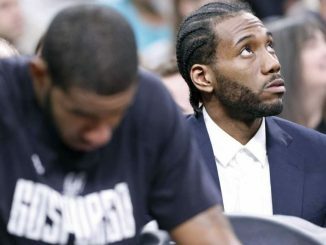 Is Kawhi Leonard on the Move?